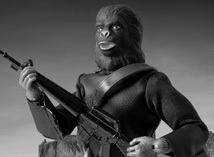 Guarida Simia, "Ape Haven". 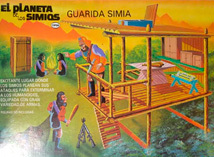 Based on the Mego POTA tree house. 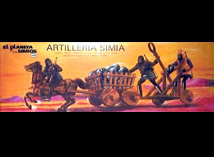 Artilleria Simia, "Ape Artillery". Based on the Mego Horse and Wagon set. 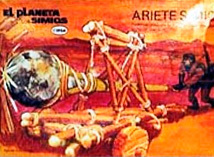 Ariete Simio, "Ape Ram". 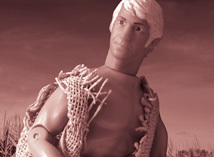 Based on the Mego Battering Ram. 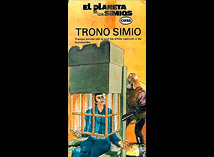 Trono Simio, "Ape Throne". Based on the Mego torture throne. 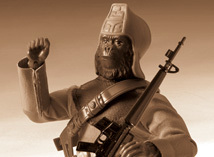 Soldado 'Soldier" Ursus. The Executioner of the Humans. General Urko. 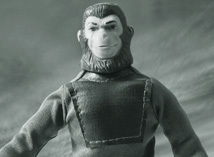 The leader of the Ape Army. 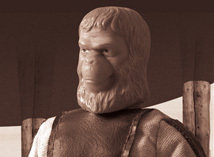 Dr. Zaius. The Ape Patriarch.